Have you seen the movie The Artist? It was partially based on the life of John Gilbert, once billed as “The World’s Greatest Lover,” though many today do not know his name. He was one of the most popular stars of the silent era, and his on-screen chemistry with Greta Garbo is electric. He was a very handsome man, and his voice was not awful, but he none-the-less failed to make the transition into talking pictures. He did appear in a few, most notably Queen Christina opposite Garbo, at the starlet’s insistence, but nothing substantial. There are many rumors as to why he failed to make this transition, the most popular being that he had a riff with one of the heads of MGM studio, Louie B. Mayer, where he was under contract. It goes that Mayer and Gilbert were set to have a double wedding. Gilbert’s love for Garbo was well-known, and after asking her to marry him several times, she finally said yes. But on the day of the wedding, she never showed, and Mayer made a crude comment about her, leading Gilbert to swiftly punch Mayer in the jaw. But, as with many things in Gilbert’s life, the truth has faded into rumor. 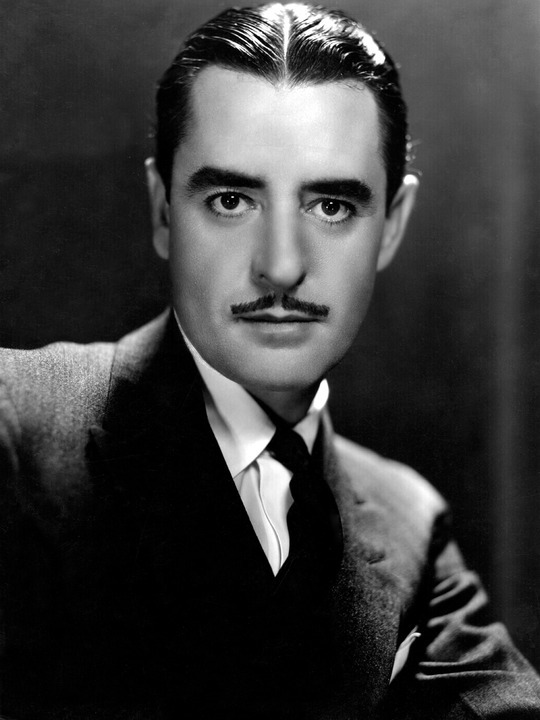 On April 18th, Eve Golden has a biography of the star (John Gilbert: Last of the Silent Stars) being released which promises to dispel some of these rumors and give us the entire portrait of the doomed movie star from his humble beginnings traveling with his mother in acting troupes, his rise to stardom, to his early death at the age of 38 due to alcohol related problems. Hopefully it will do a good job separating fact from fiction so the world’s greatest lover may once again be with us and capture our hearts and imaginations in the way John Dujardin did in The Artist. Whenever someone mentions a classic, the reaction tends to be very hesitant. Mainstream audiences shy away from anything “old” since they feel as though it’s going to be boring, outdated, and who wants to watch something in black and white when we have high-definition and 3-D capabilities? 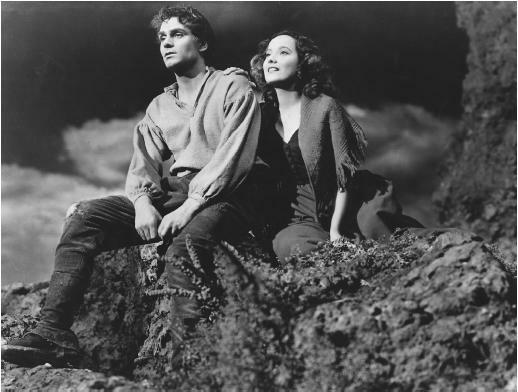 While some movies did not age very well (such as the black face and praise of the KKK in The Birth of a Nation, or the science aspect of Journey to the Center of the Earth), there are others that still resonate with us today and become a part of our history. We have picked ten decent movies from pre-1970s that many people may not have seen before. We dare you to pop one of these into your DVD player (or Blu-ray for the more advanced of society) and not find a little enjoyment in these features. And when you find that you are truly enjoying yourself I will request that Maximus from Gladiator come into your living room and bellow at the top of his lungs in your ear: “are you not entertained? !” Or at least, it’s a good place to start. While some of the camera shots may be laughable now, there’s no denying how truly frightening the first slasher flick truly is. This is thanks in large part to the creepy performance by Anthony Perkins as the motel’s proprietor Norman Bates. We may have Japanese girls and dolls terrifying us now, but let’s not forget that the master of suspense Alfred Hitchcock laid down the trail for everything that followed. It’s got everything packaged in one, cool-colored Humphrey Bogart/Katharine Hepburn gem. There’s adventure, romance, and comedy. The relationship these two have with one another is irreplaceable and you are hard-pressed to find two more worthy screen sirens than the hard-jawed, straight-shooting Bogie and the elegant, but human Hepburn. 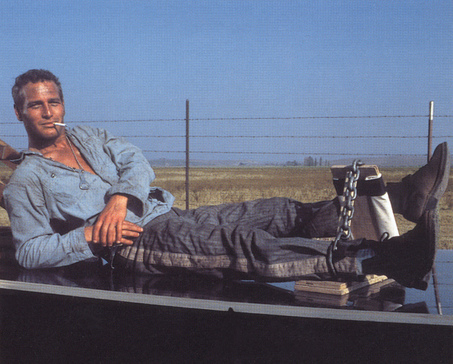 Paul Newman is the coolest cat there ever was and ever will be. Guaranteed, every woman will still swoon at that smoldering gaze. This classic is hilarious, but also thought-provoking and daring. Never has a man been able to consume 50 eggs and look so charming. This movie is a contender and with bad-boy Marlon Brando jabbing at the screen with every shot, you may just get knocked-out. He’s passionate to the breaking point in this movie and his heartache will surely be yours. But despite that tough exterior, he’s a sensitive soul who longs for love. Watch the Godfather in the stripped-down form you’ve never seen him in before. There’s no greater director in the last century than the irreplaceable Stanley Kubrick. He has provided movies that have spanned all genres. If you’re going to sit down to watch any war movie make it be this one. It chronicles the Vietnam War in what seems to be two movies. The first half being boot camp where a soldier’s pride hits the floor with his hair and the second half the actual war, where former boys need to bulk up and quickly become men. Charlie Chaplin is the man who turned film-making into an art, and this film is his masterpiece. Charlie Chaplin as his Little Tramp character finds a baby abandoned on the street and raises him as his own, turning him into the littlest tramp. It’s as funny as it is heartwarming, and slapstick comedy translates very well through the years. This is a good movie to watch if you’re curious about silent films, but are intimidated by them because this is only an hour long. This is a staple in the horror movie world, and should be outside of that genre as well. It was one of the first films to have a person of color in a leading role. While there’s not a ton of action, explosions, and shootouts like in modern day zombie movies, it’s a pretty accurate portrayal of how people would really behave in a zombie outbreak. Without this movie, zombie lore wouldn’t exist the way it does today. I wanted to put a Marilyn Monroe film on this list, and this is probably the one that would appeal to the widest audience, as well as the one she’s most known for. It stars Tony Curtis and Jack Lemmon as two musicians who witness a mob hit and disguise themselves as girls in an attempt to get away. Of course, that’s when they meet the beautiful Marilyn, and one of the men falls in love with her. The gangsters also show up, and antics ensue. Have you ever wanted to travel, but don’t have the budget for it? This movie is great because it’s part adventure, part travelogue. While you don’t get to see every country, you get to see a lot of it, and it showcases a little bit of the people and culture there. The main characters save a beautiful princess in India, fight bulls in Spain, and travel the Wild Wild West. It’s long, but the characters are enjoyable, and it’s a pleasant trip that I only wish lasted longer. I didn’t really want to add another silent film to the list, but my jaw literally dropped open when I watched this movie. From 1926, it stars Greta Garbo and the world’s greatest lover, John Gilbert. In real life, Gilbert and Garbo had an affair with Garbo turning down Gilbert’s numerous marriage proposals, and their chemistry really comes through on screen. The old saying goes, who needs words when you have a face? It had an excellent plot and many twists that played out like a nightmarish soap opera, when Gilbert returns from a military exile to find out his lover has married his best friend. When the holidays come around, it’s hard not to think of the classic movies like It’s a Wonderful Life. They remind us to be grateful for what we have, but what is it about George Bailey’s story that captures our imaginations so well? It’s the fact that life constantly shits on him, but he’s able to persevere. George Bailey is all of us. He has big plans when he’s young: he’s going to travel the world, then build things like airports and bridges; he’s going to do something important. Then his father has a stroke and he’s forced into a life he never wanted: taking over his father’s business at the tiny little Bank and Loan in the tiny little Bedford Falls. They’re constantly struggling to make ends meet, but at the end of the day he’s the one giving hard-on-their-luck people the chance to live in a nice little house rather than the Potter Slums. And it’s the owner of those slums, Mr. Potter, who is constantly trying to destroy George’s business. George wonders what it’s like if he had never been born, and realizes that he’s touched more lives than he ever imagined because, as the story goes, “No man is a failure if he has friends.” It’s a beautiful sentiment. It’s heartwarming, really. George Bailey is the most unselfish man, an ideal, that makes those of us watching his story want to at least try to be better people. That’s why this movie is a classic, and that’s why it truly is a wonderful life.